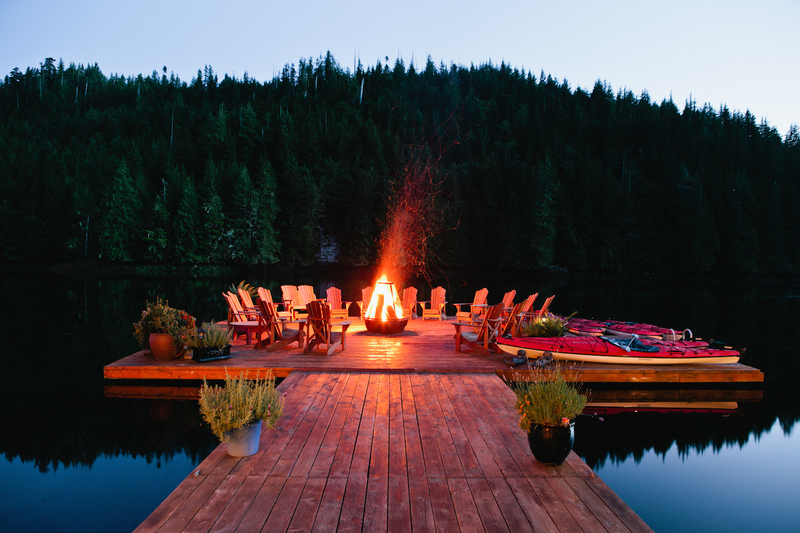 The on-water fire pit at Nimmo Resort- photo courtesy of Jeremy Koreski. 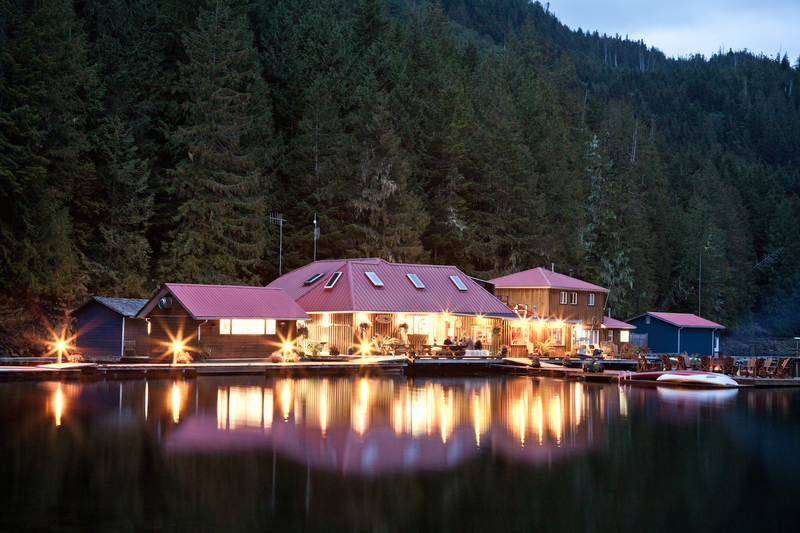 Nimmo Bay resort at dusk- photo courtesy of Jeremy Koreski. Not two words you usually see together, but then the Nimmo Bay Resort on the shore of the Great Bear Rainforest is far from usual. Actually, it’s far from anywhere and is only accessible by water or air. And while its inter-tidal chalets, with the water lapping under their legs, might seem rustic, the cedar hot tubs filled from a 1500-metre-high waterfall should reassure you of its civility. This dichotomy of lifestyle spreads to the daily activities, marine or helicopter-based. 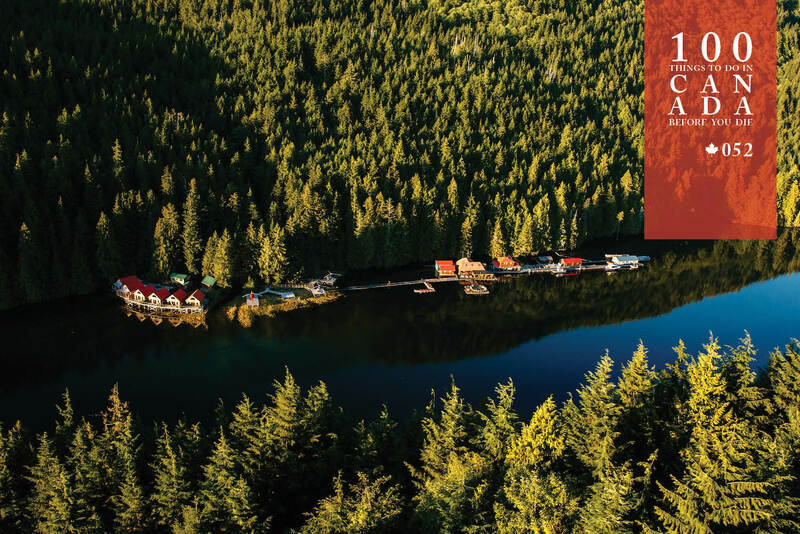 Go whale-watching from a boat, grizzly-spotting from a chopper, heli-fishing where the pilots fly you to remote streams filled with wild Pacific salmon, or kayaking. Breakfast is served with fresh pastries in the dining room, but lunch could be a champagne picnic atop a 1000-year-old glacier, with pre-dinner cocktails and amuse bouches on a floating fire dock, followed by a three-course meal of sumptuous seafood and the finest local wines. After that, maybe another dip in the hot tub, followed by the ice-cold plunge pool and back again? 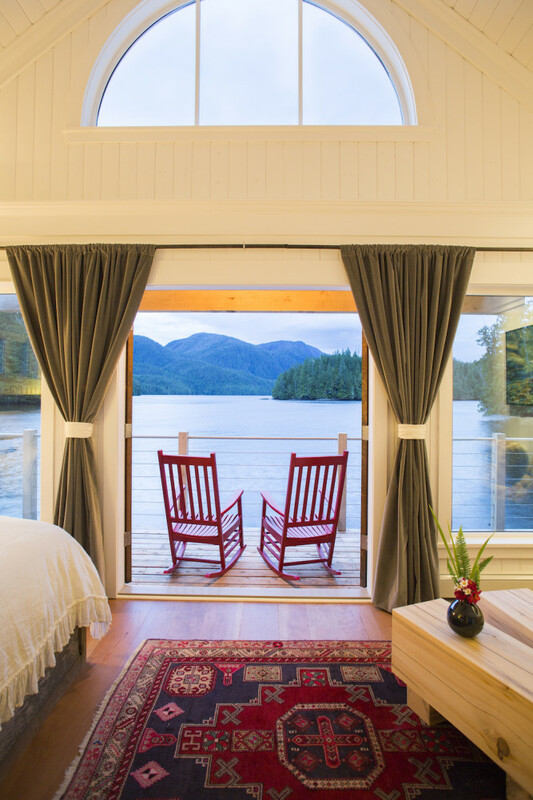 Disappear into luxury at Nimmo Bay Resort (nimmobay.com). More details here. 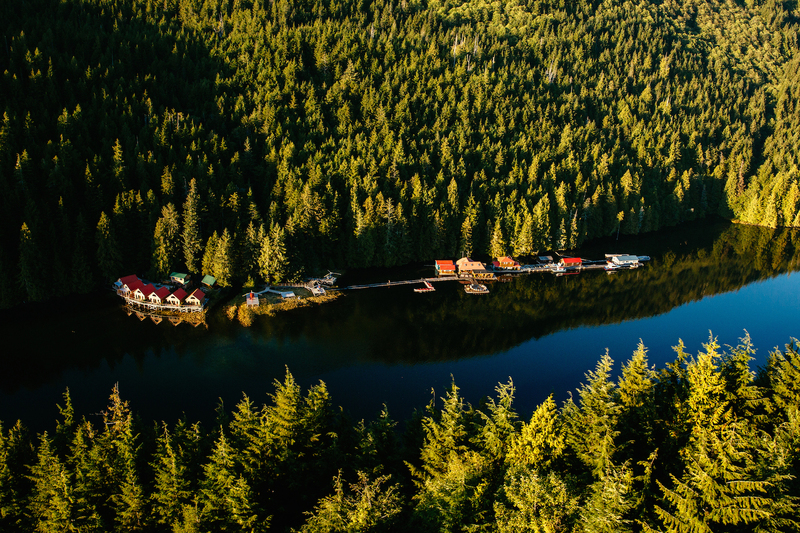 Nimmo Bay Resort is separated from the outside world by the Great Bear Rainforest and the necessity to get there by air or water. Helicopters take 25 minutes from nearby Port Hardy, which itself can be reached via a one-hour flight from Vancouver International Airport.